Happy Wednesday lovelies! 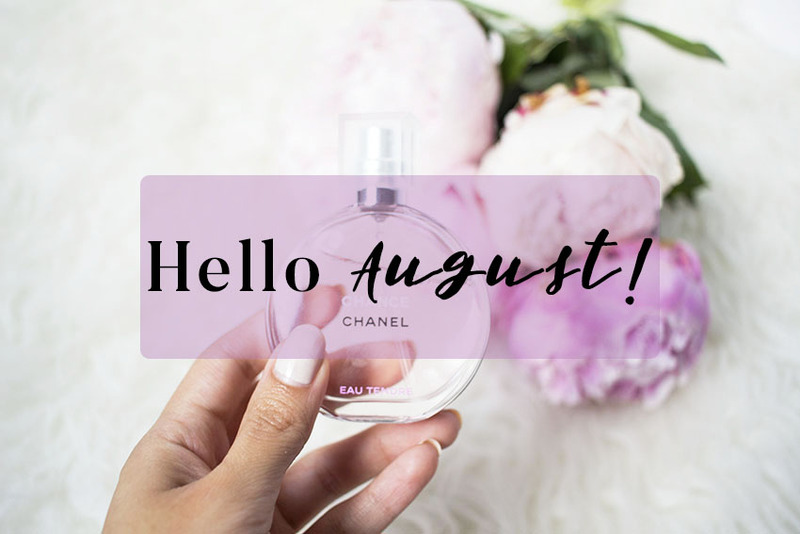 It's my favorite month of the year and I wanted to start it off by sharing a few of my favorite fashion and beauty buys that you guys will love too! This jacket is such a steal! (It's on sale right now for just over $20!) 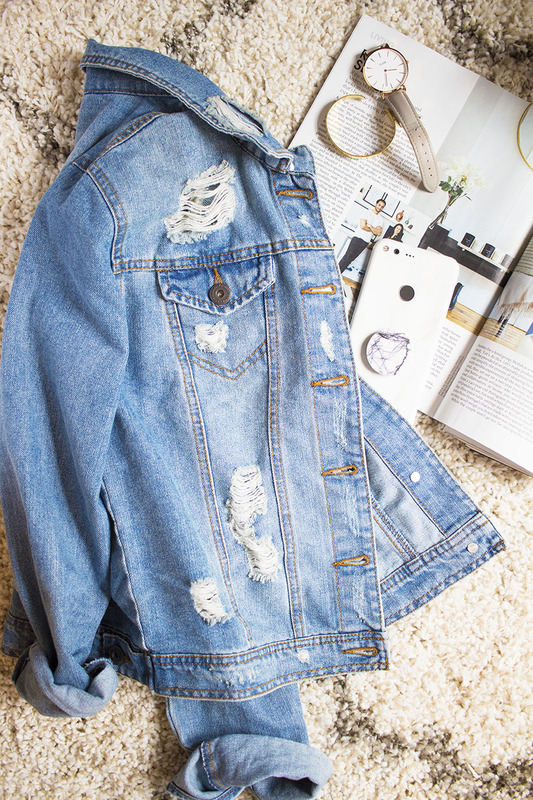 I love the wash and the placement of the rips is perfect! It would be even better if it had side pockets! On the website there are two color options, mine is the 'dark blue' color. 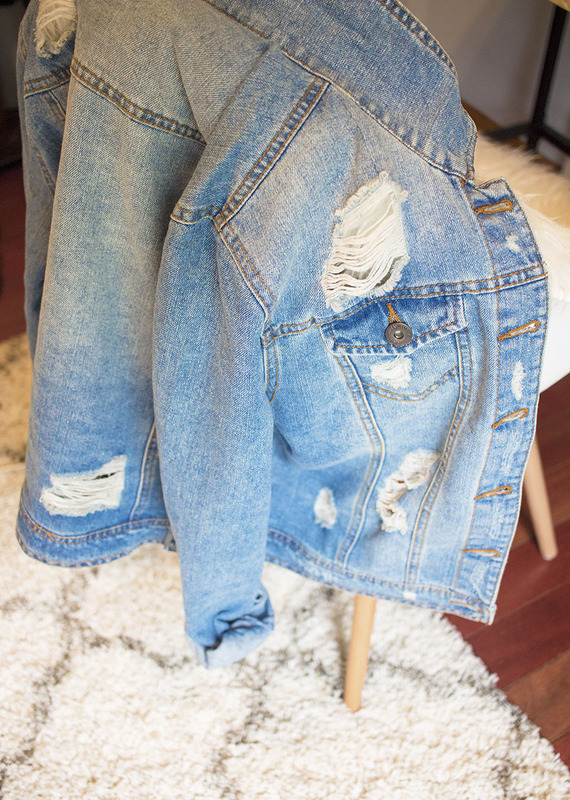 It reminds me of this Topshop distressed denim jacket but a lot less oversized! This romper has the cutest ruffled sleeves and I love that it's off the shoulder! This is perfect for the end of summer weather and early fall! I've been wearing this bracelet non-stop since I received it. It's gold so it fits in perfectly with the rest of my jewelry! It also has a special meaning, I talked about it in this post. 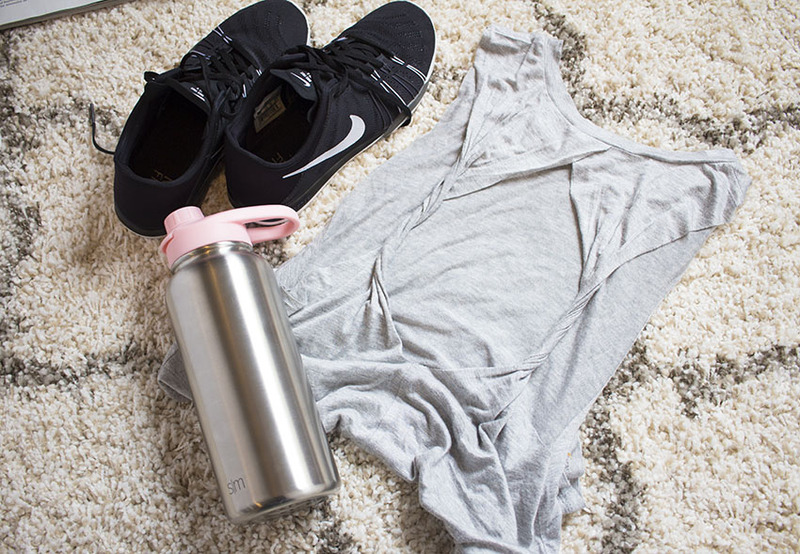 Reusable water bottles are a must for summer! This one keeps your drinks ice cold (or hot) all day!! I love that it is half the price of this one! That brand is also really good (My dad has one and loves it!) but you just can't beat the price of this one for basically the same product! If you have a Sam's Club near you, they sell a 2 pack there for around $20 which is an even better deal! I really want the light pink color but I'm trying to resist haha! This top was just too adorable to pass up! 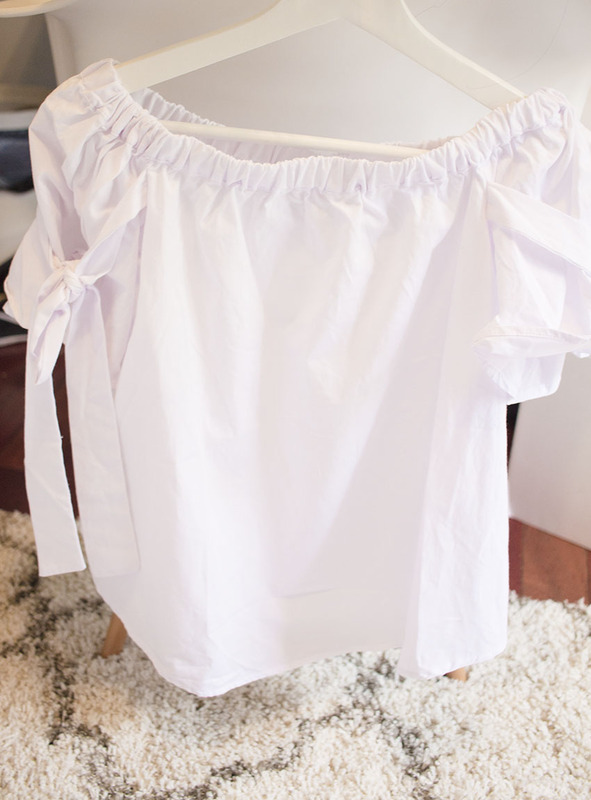 I love that you can tie little bows on the sleeves and it's only $20. Most of you know that I love these sandals. The taupe color makes them super versatile because it goes with almost everything in my closet. 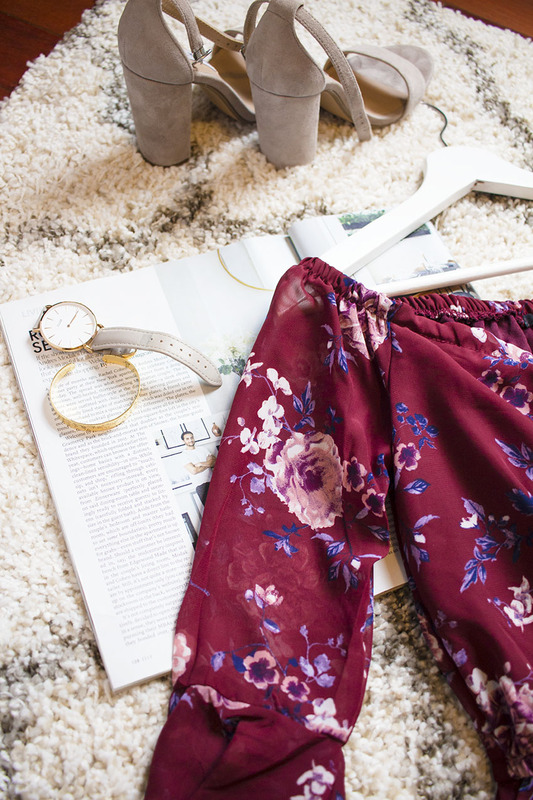 They're also perfect for everything from date night to casual outfits. 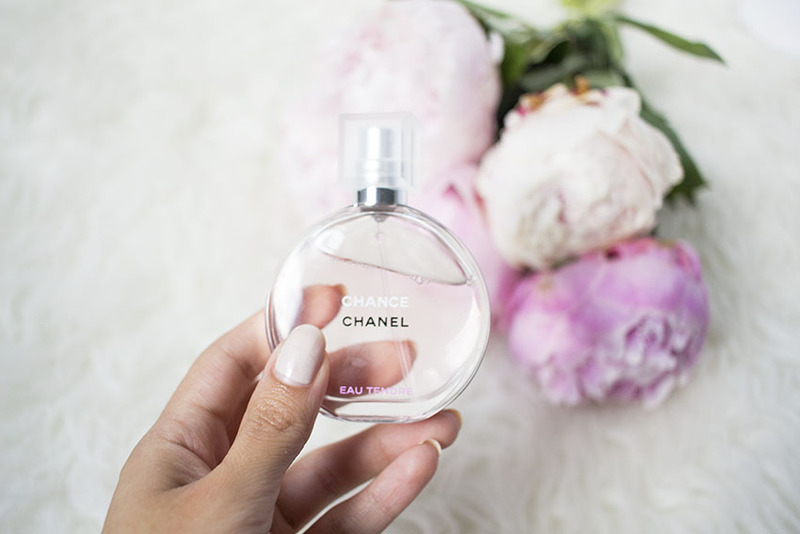 This is the perfect light & feminine summer fragrance! It's soft and not overpowering at all yet it lasts all day! I highly recommend you try it out next time you're in a Sephora! 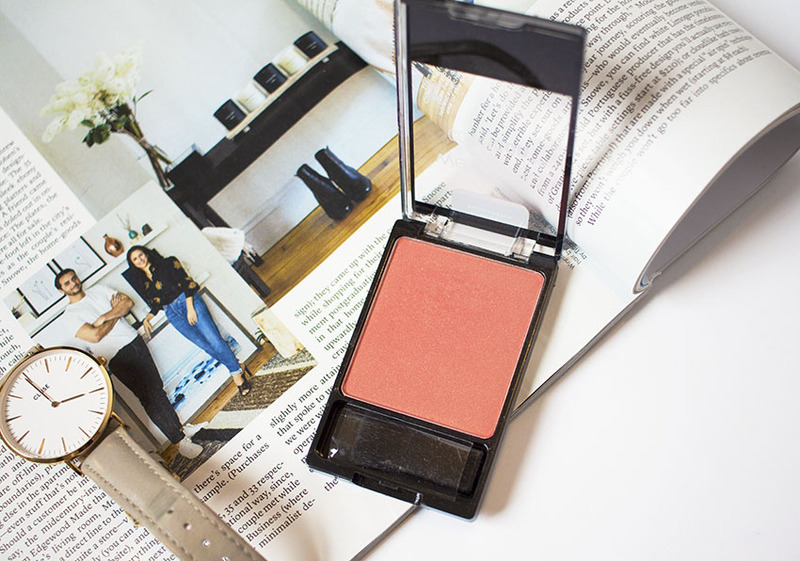 I love coral blushes and lately, I've been loving this one from wet n wild. It's called 'pearlescent pink' and it's a beautiful pink/coral with gold shimmers. This has been one of my favorites ever since my high school years. I recently picked it up to control my shine for the summer months. It works wonderfully and is so affordable! 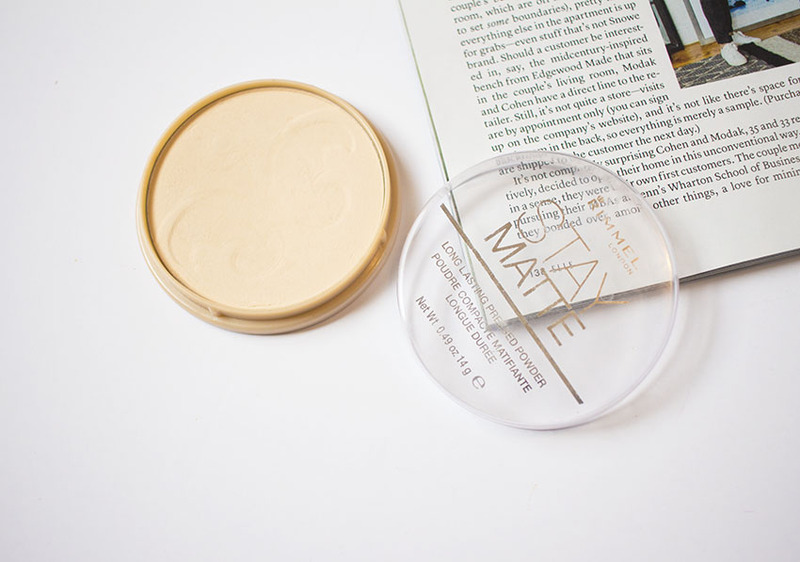 This product is a little miracle worker for tired eyes. 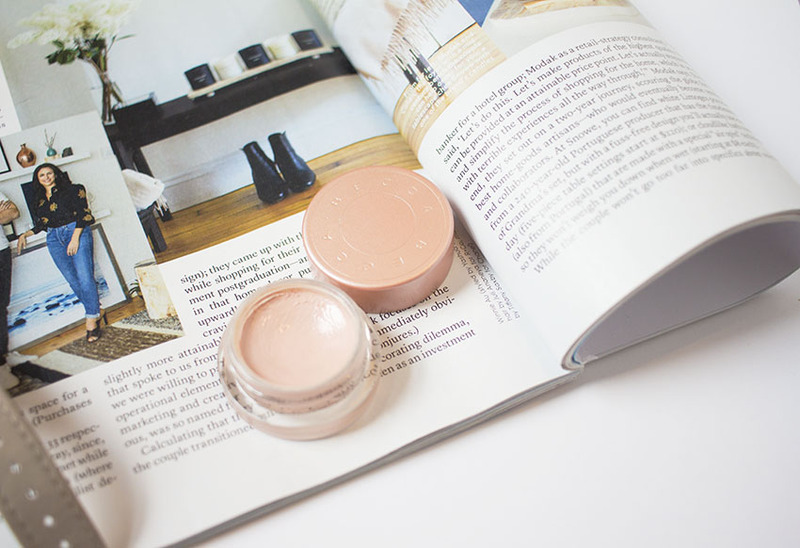 It's a light peachy pink color that helps cancel out darkness and really brightens up your under eye area! I love (and need!) this stuff because I never get enough sleep. Your picks are all so amazing. 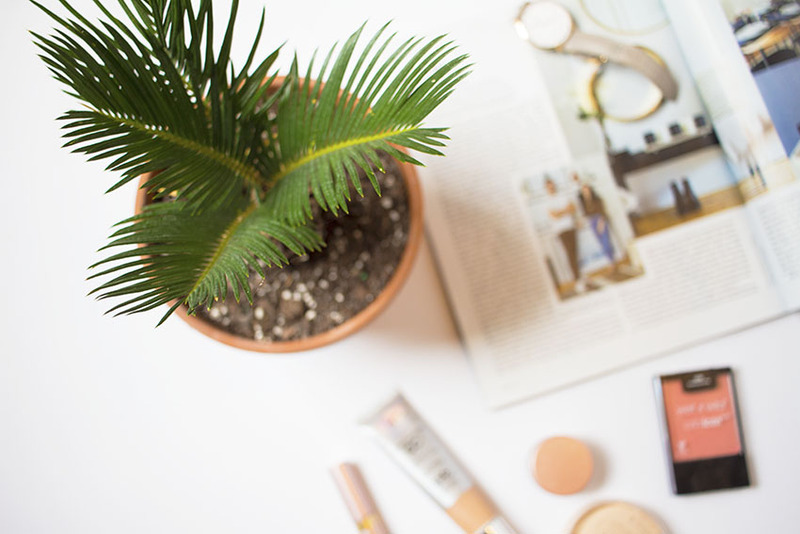 I love the look of the gold bangle, and I will absolutely have to try the perfume out the next time I'm at Sephora. Happy to have found your blog! Also, these photos are gorgeous!! !